Marketing departments have historically been structured in a siloed fashion with a marketing director overseeing the group, supported by managers and then down to individual contributors in their respective units. This traditional hierarchical structure can inhibit the team’s ability to be responsive to the needs of customer-driven content creation. Additionally, this framework and its related skill-to-task implications doesn't allow for teams to nimbly develop competencies at the quick pace digital transformation demands. Your staff is crucial to executing your content strategy, so you’ll need to make sure they can support your vision. Do they have the right expertise? It takes a different skill set to go from brainstorming content to creating assets all the way to managing platforms to deliver content to your customer. In addition to structure and capability concerns there are also considerations of scale. As your volume of content fluctuates, the way you staff your team may need to change. Depending on the skill needs and amount of output, departments can expand or contract by encompassing a flexible staffing model with a combination of full-time staff, contingent workers, and outsourced assistance. Filter is on the forefront of this digital transformation and we can help. 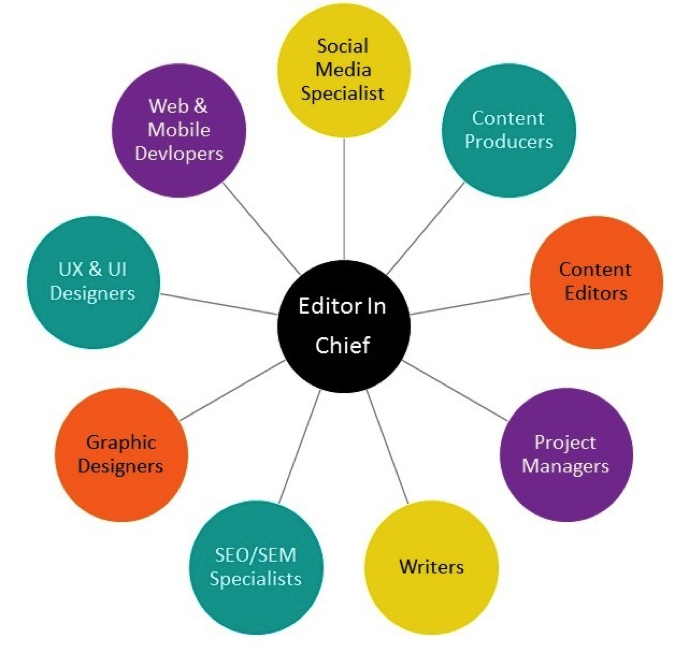 If you are evaluating your department’s structure, roles or scale and would like to discuss some ideas for your content team, let’s connect.